Is it possible that the travel bug is passed down through an aberration in the genetic code? Nature, nurture, I never had a chance. I became a traveler before I could walk. 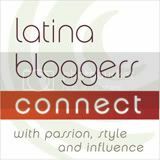 As the child of displaced persons – my mother never renounced her Argentine citizenship although my father traces his American ancestry to the colonial founders of Rhode Island – I come from a long line of globe-trotters. And just as my mother and grandmother did before me, I settled far from home. Born the first grandchild of a Latina, my abuela couldn’t wait to show off her nieta rubia to her friends and family in her home town. 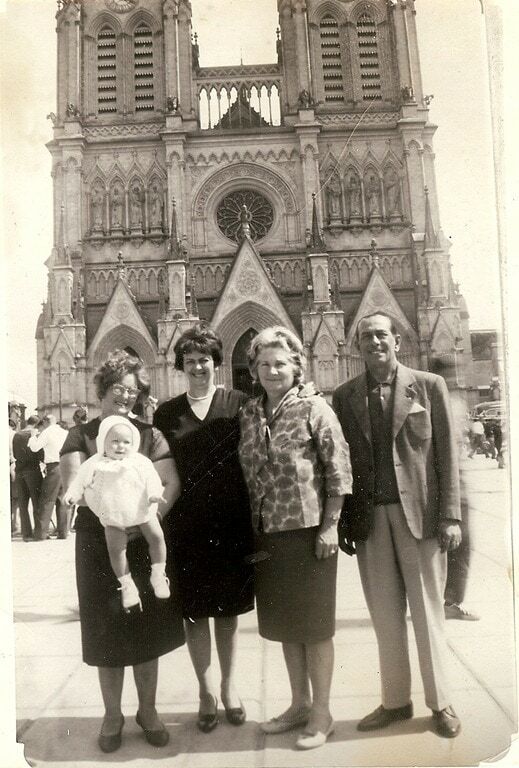 When I was 9-months-old, Meme carried me aboard a transatlantic flight from my birthplace in Washington, D.C. to Buenos Aires where she made the pilgrimage to the Basilica of Luján, built in honor of the Virgin of Luján, presumably for a blessing from the patron saint of Argentina. 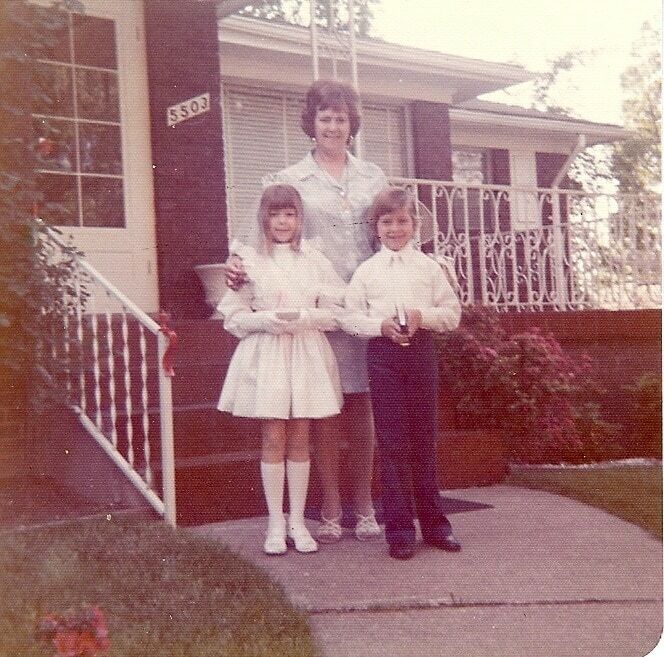 It’s only because my grandmother gave me a photo album that includes a photo of her and two of her sisters posing in front of the cathedral – one of them holding me, resplendent in a white lace cap, dress, and booties –that I have a visceral recall. 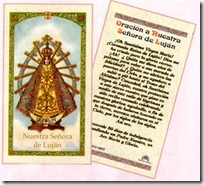 Luján draws the pious in droves. Called La Capital de la Fe, the Capital of the Faith, Our Lady of Luján – the patron saint of Uruguay and Paraguay, as well as Argentina – plays an important role in the three predominantly Catholic countries. Every October, thousands walk the 42 mile route from Buenos Aires to the Luján basilica in a procession that marks the original in 1620 when a cart carrying the Virgin from town to town became stuck, moving the devoted to build a chapel to protect the statue. 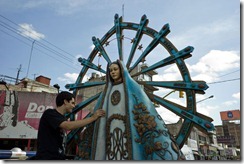 Examples of Marian Devotion can be found in much of Latin America, a legacy of the region’s long history under Catholic Spanish rule. Outside the church, a row of vendors sell all sorts of religious articles; a popular relic being the Catholic prayer cards that my grandmother bestowed on me at every recent visit. 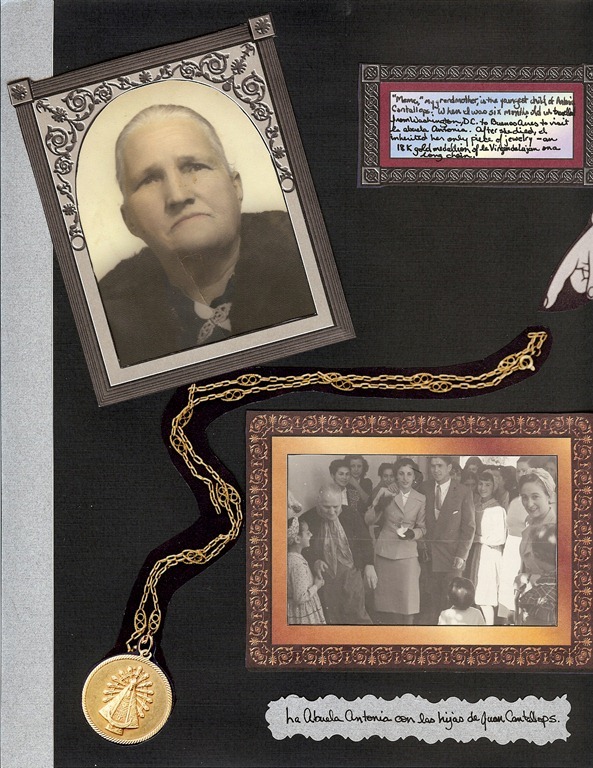 On my fifteenth birthday, the year of the traditional Hispanic Quinceañera, I received a medallion that was handed down from my Great-grandmother Antonia. 18K gold, with a rose cast that is peculiar to Argentine gold, the slender chain holds a round medallion embossed with La Virgen de Luján. This was the only thing of value that my Argentine great-grandmother – a mother of eight who supported her children by taking in laundry – ever owned, and she passed it on to the first grandchild of her youngest child, the one who moved away to another continent. 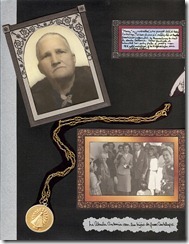 My mom claims that I received the medallion because she was Abuelita Antonia’s favorite granddaughter. She could be right. But perhaps this was a way to connect wandering children to the family, to help guide them via a golden rope that tugs me back to Argentina. In January of 2001, my husband and I survived a 10-hour connecting flight from New York, via Rio de Janeiro, to Argentina with 17-month-old Alex and 5-year-old Kayla. My in-laws accompanied us, and my honorary sister Diana and her nephew Joshua met us there upon arrival from Los Angeles. We stayed at one of the apartments in my grandparent’s building in a suburb of Buenos Aires. My grandfather had passed away by then, but we visited my grandmother and she helped introduce our Argentine heritage and relatives to my little tour group. Nearly eighty-years-old in 2001, my grandmother spent most of her days caring for her plants and making clothes for less privileged children, in addition to the lovingly crafted ensembles – such as my First Communion dress – that she now made for great-grandchildren. Most afternoons you could find her at the kitchen table sharing a yerba mate and biscuits with one of her cronies. Meme did join us on one excursion – to Luján. She wasn’t a devout Catholic, I don’t think I ever saw her attend church if she didn’t have to, but this pilgrimage was worth tasking her frail strength. Looking back, I don’t recall what I learned about the basilica’s history or architecture. 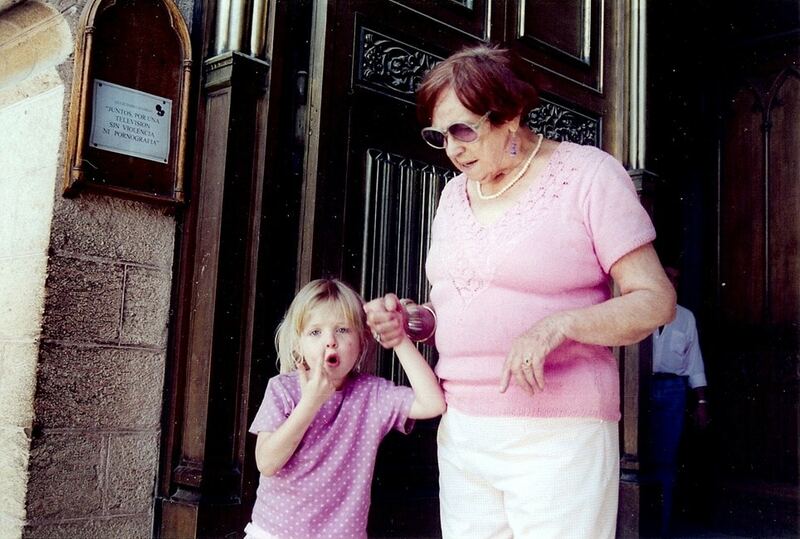 I just remember that Meme held Kayla’s hand in the church, guiding her to the bank of candles in an alcove. Together, they lit a votive candle in prayer. I remember this now because I have a scrapbook album with a photograph of this moment. My grandmother passed away recently. And although my children met her a few times, each introduction was brief. 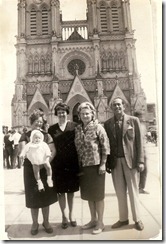 Someday, my children’s memory of their great-grandmother may well be tied to a photo of our family vacation in Argentina. At least they’ll have that. Mi Abuela Is Doing Good! have made this trip myself, startjng at a similar age. Looking forward to doing the same with my daughter, hopefully this year before her 3rd birthday. Thank you for sharing.